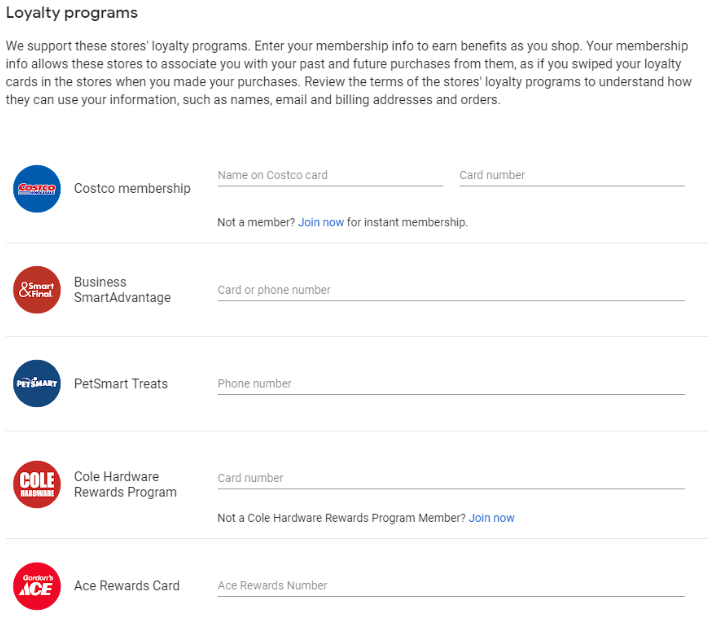 Google Shopping Actions allows you to drive loyalty and repeat business through loyalty cards. This is quite amazing because most marketplaces do not have any kind of loyalty program functionality. Users can easily reorder and build baskets of products based on purchase history. Users can use a card number or phone number.